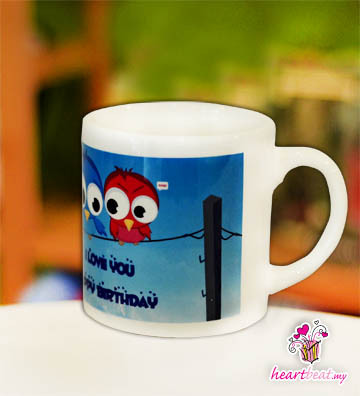 Ceramic Photo Mug is one of the most practical and affordable personalized gifts for anyone of us. It is suitable for any gift giving occasions such as Anniversary, Birthday, Graduation, New Born Baby etc. The mug is 6oz . Pick one photo mug and template design today, and we will free design with your selected template design & and free photo touching for you.